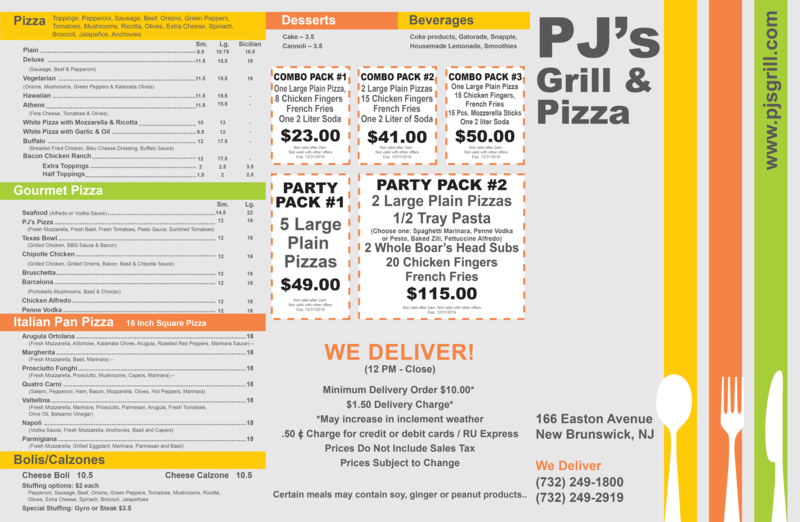 PJ's Grill and Pizza is a family owned and run bistro that has been in business for over 20 years. 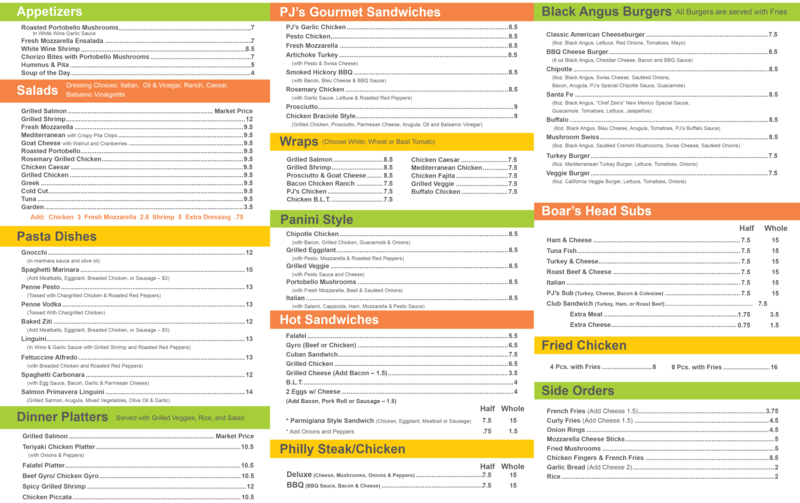 We strive to bring you homemade food made with the freshest ingredients. From our pizza dough, to our homemade panini bread and pesto, many of our ingredients are prepared from scratch daily. Our extensive menu includes dishes to please every palate. Whatever your mood, you will find something to satisfy your cravings. Our aim is to provide you with a gastronomic adventure that will keep you coming back for more.